I have been having kind of an awkward problem on Pirate101 lately. 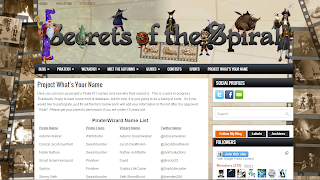 I have been adding people that I know from Wizard101.......and forgetting who they are. *blushes* Okay, I mean no offense to anyone. I love all my friends and readers and followers. 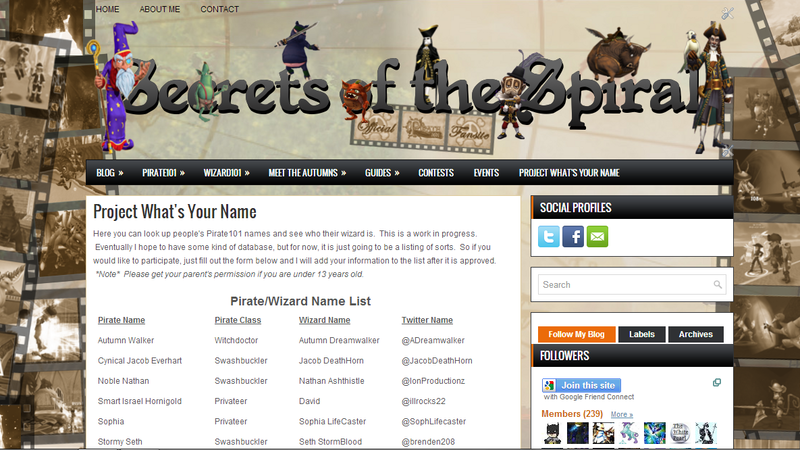 However, it seems that even though I am 80% pirate, I have everyone's Wizard101 names stuck in my head. And I took an impromptu poll on Twitter and it seems I am not the only one who has this problem. So here is what I did. I started Project What's Your Name! This is basically a listing of people's Pirate101 names and classes matched up with their Wizard101 main character name. Confused about who someone on your Pirate friend list is? Come here and look it up!